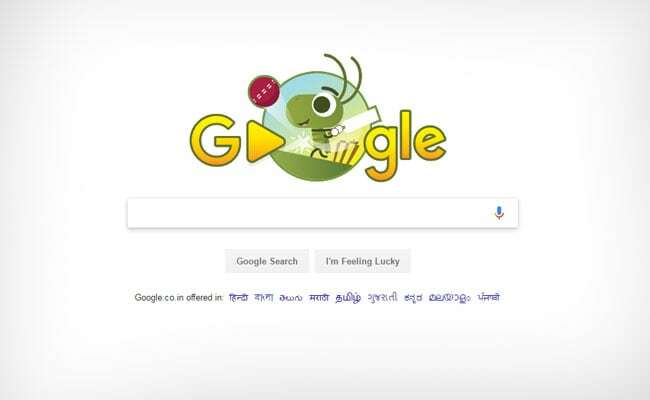 As the eight-nation ICC Champions Trophy 2017 Begins, Google celebrated the day a unique doodle game featuring cricket. New Delhi: ICC Champions Trophy 2017 began today and Google the cricket game with a doodle. The eight-nation Champions Trophy will begin today and Google is celebrating it with an interactive doodle where you can also play the game of cricket. The match features cricket versus snails game. The batsman is a cricket and the fielders are snails. All one needs to do is to click and swing the bat and then watch as the ball is smacked around the field or bails knocked off. Google has designed the doodle in such a way that it works for everyone, including those on slower mobile networks. They have kept the file size fly-sized, and the result is their smallest interactive Doodle ever. This year, the Champions Trophy, which is being hosted in England and Wales will feature top 8 cricketing nations India, Pakistan, Australia, Sri Lanka, Bangladesh, England, South Africa and New Zealand. While India and Australia are being pegged as the two likeliest to meet in the final, there will be teams like hosts England who will have a lot to say about that. As of now, these three teams look the likeliest to be top picks, since the others do not look consistent enough. The Indian team has not displayed any signs of stress during their two warm-up matches which they won without breaking any sweat. At the same time, Australia also came up with lively performances in their respective warm-up games. Hosts England will kick-start the tourney against Bangladesh in London on Thursday before the much-awaited rivalry between India and Pakistan on June 4. Once a force to reckon West Indies will be missed especially after their triumph in last year's ICC T20 World Cup held in India.